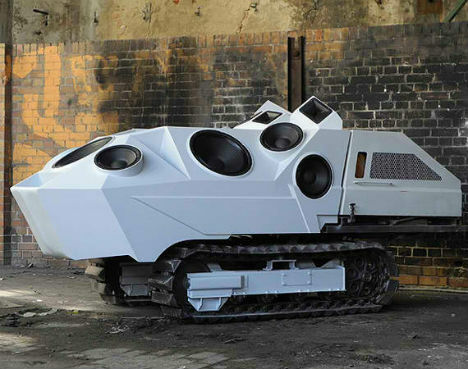 You might think twice about approaching a neighbor to turn down their loud music if it were emanating from the SoundTank, a mobile audio system by Berlin-based artist Nik Nowak. 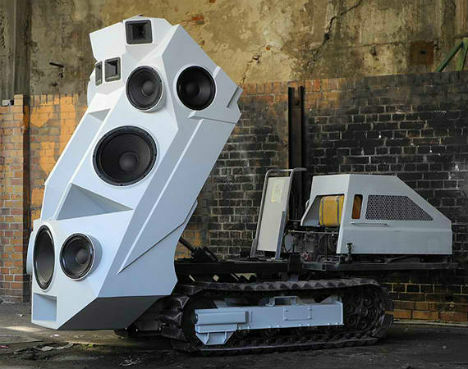 The imposing sound system was made using an old Japanese miniature tracked dumper as a base. Nowak added four tweeters, six 12-inch drivers, and three 8-inch subwoofers, in addition to other audio components, as well as a faceted exterior full of speakers. ‘Panzer’, which means tank in German, is capable of booming 4,000 watts of sound from its strategically designed array of speakers, and it has a hydraulic cover that flips up with the touch of a button. 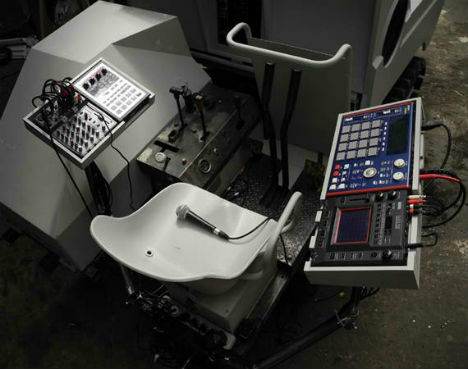 It’s also equipped with a drum machine, mixer and synthesizer. Nowak focused on electronic music during his art studies, and composes music that consists only of low-pitched tones. With the SoundTank, the artist was looking to create an extra-loud system for outdoor performances that can handle a particular frequency spectrum. Performances at festivals and other venues showed off the tank’s capabilities.